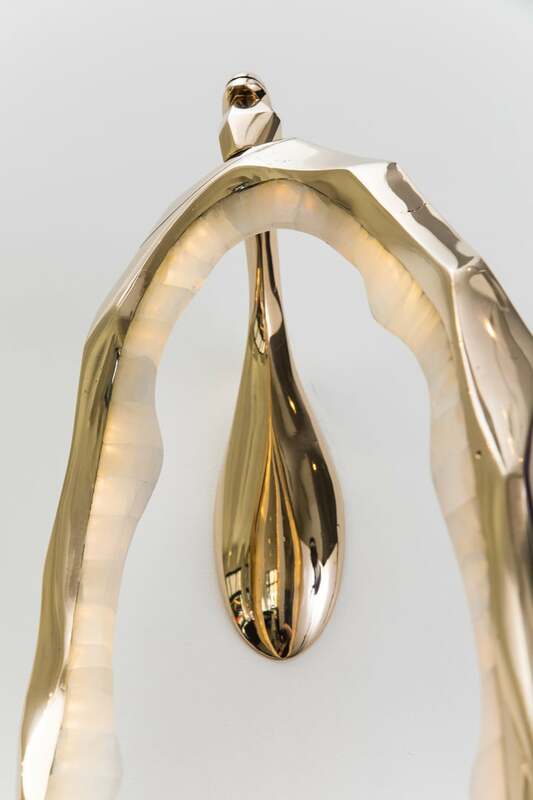 Markus Haase creates unique sculptural lighting combining hand-carved wood, cast bronze, and the latest in LED technology. 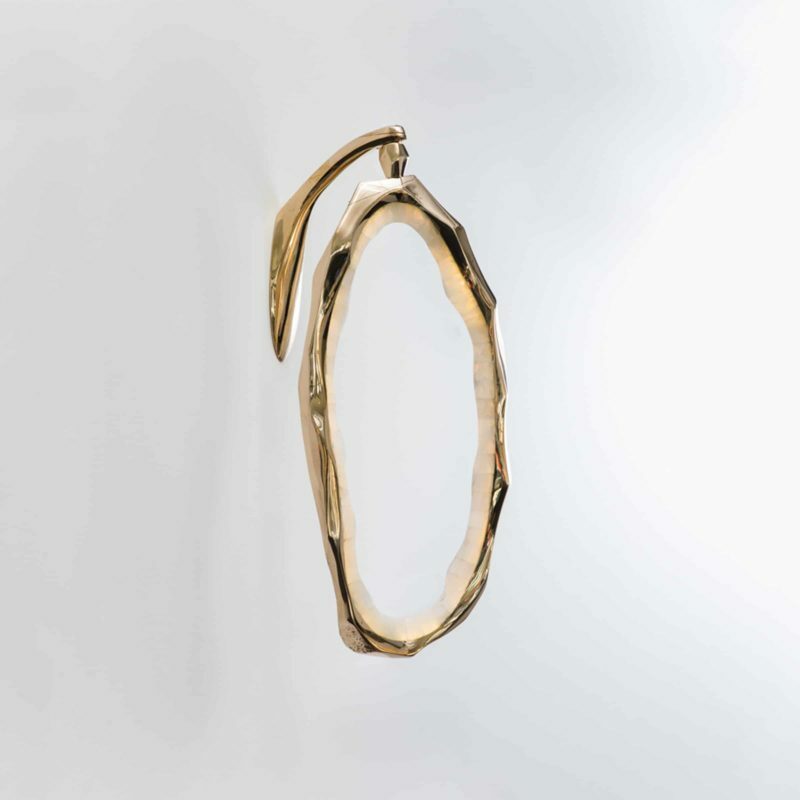 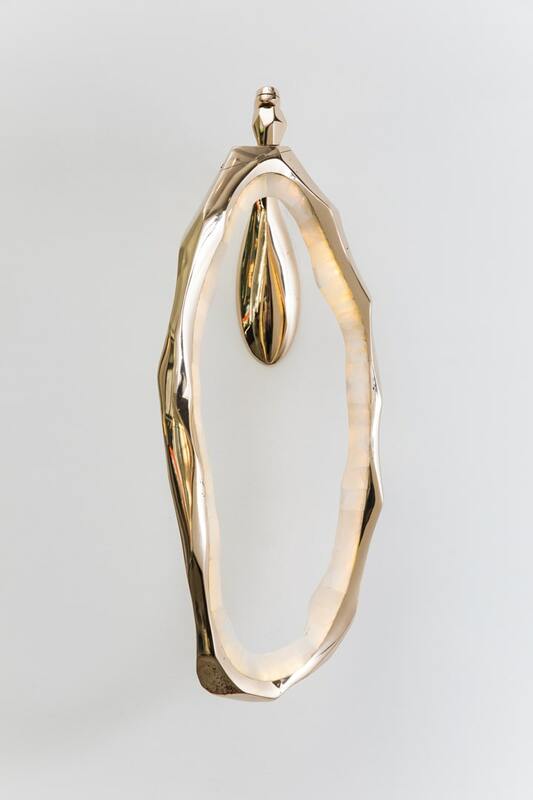 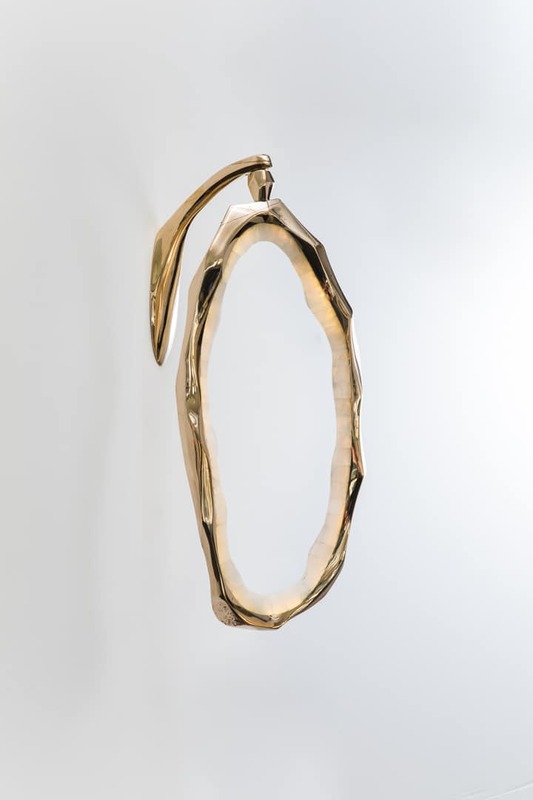 The Circlet Sconce features an organically shaped ring, cast in polished bronze, that extends from a pivoting arm for a visual interest that is both, elegant and versatile. 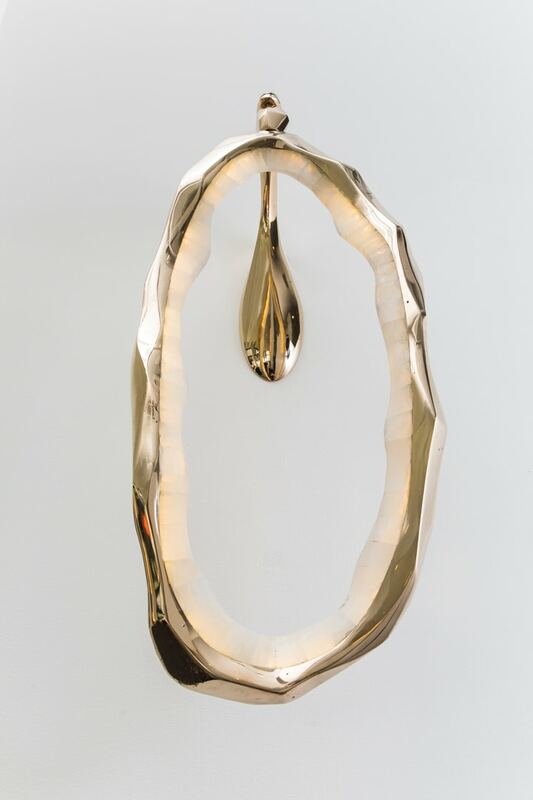 Haase hand-carves each sconce in foam, creating a unique jewelry like faceted form that is then sand cast in his New York City studio. 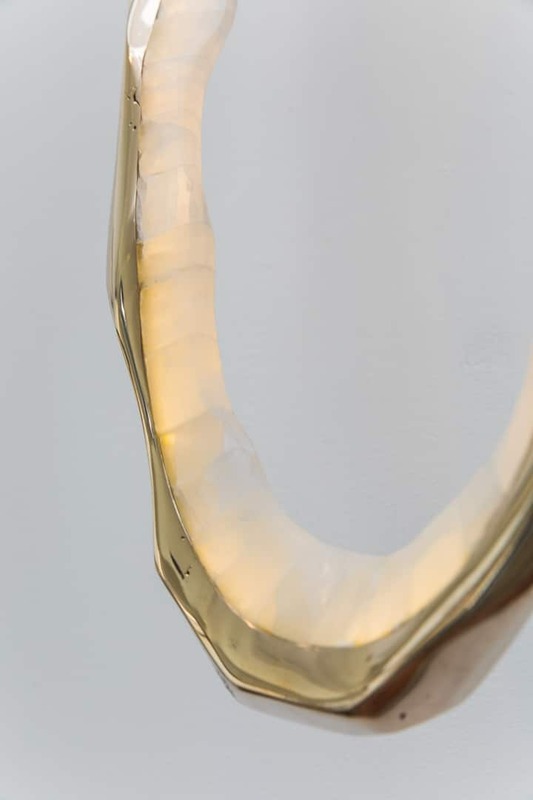 Hidden LED lights emit a warm glow through hand-carved onyx which line then interior of the ring. 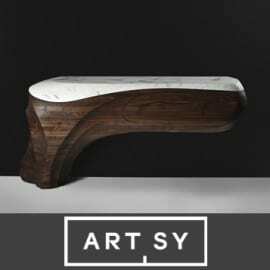 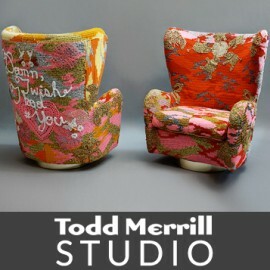 The work retains its luminescent quality even when unlit.